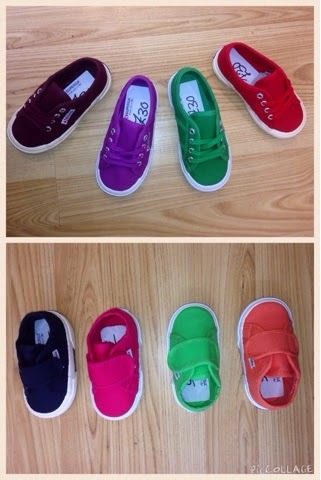 Chic, stylish and oh so Italian, this footwear can be worn with skirts, jeans, shorts or dresses. As they are less 'clumpy' than other trainers they are so much more flattering on the leg and are gorgeously comfortable. 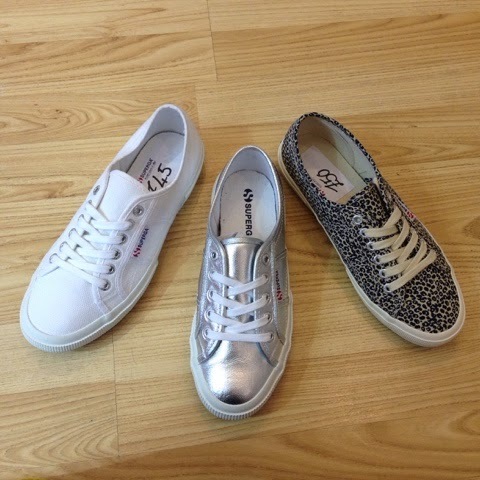 The new Superga store in Guildford is a treasure trove, filled with every style, colour and size. From gorgeous pinks to berry to khakis and greys and, of course, my favourites whites and metallics. From the palest baby pink to dark berry, the perfect colours for this Spring and Summer, entirely on trend and can be beautifully blended with this season's denims, whites and pinks. 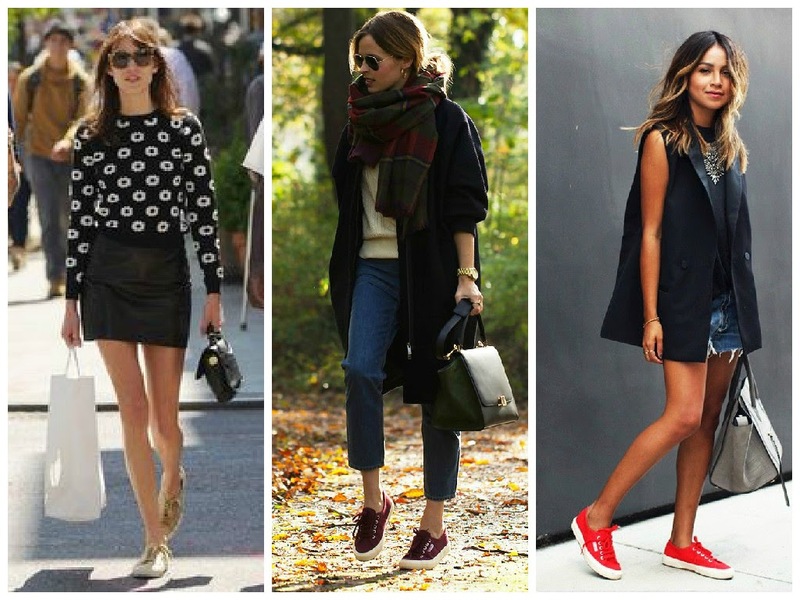 These are my three favourite styles, very classic, wearable, understated and chic. I chose the silver as it will look great with a summer tan and the white dresses I have earmarked for my summer wardrobe. I love the flatform style, I bought the white flatforms as they will be flattering on my legs, elongating them (much needed!) - I am imaging wearing them with a button through denim skirt and they will also work under a pair of flared jeans. The green spotted style are a beautiful colour with a blue sheen creating a mermaid-like appearance would look fabulous with (fake) tanned legs and a denim, fitted shirt dress. 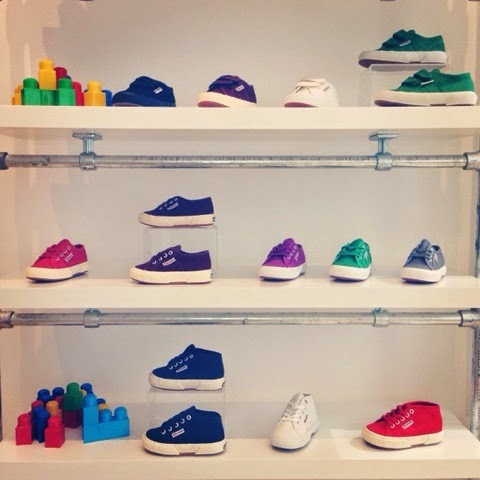 They also have an amazing array of kids Superga, utterly gorgeous, I bought my son a pair of the green velcro trainers...perfect for summer with little red and blue checked shorts and a navy polo shirt. The Manager of the branch Tors and sales assistant Hannah were both incredibly helpful and have wealth of knowledge about the brand and fit. 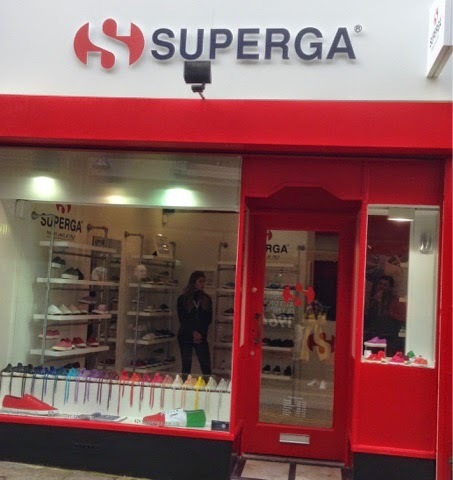 Whilst I was in there I spoke to customers, mostly my age who were Superga superfans, it seems once you are a Superga wearer it is hard to change and they were after more colours to add to their collection. 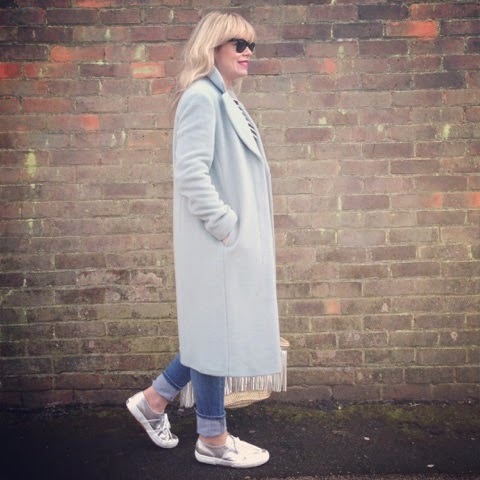 I must admit I am quite smitten with my silver ones and Tors kindly offered to post my white flatforms to me when they get stock next week of my size...I am officially a convert. If you live in the Guildford, Surrey area it is definitely worth visiting the branch as they have such an extensive range and stock. 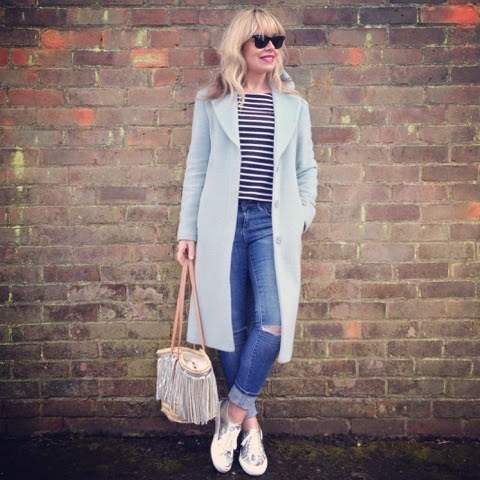 Full and half sizes (perfect for me being a UK6.5) are available, these sizes aren't stocked in the concessions and Tors and Hannah can guide you on the new styles, colours, the most popular and the style to suit your foot. A really lovely shopping experience. 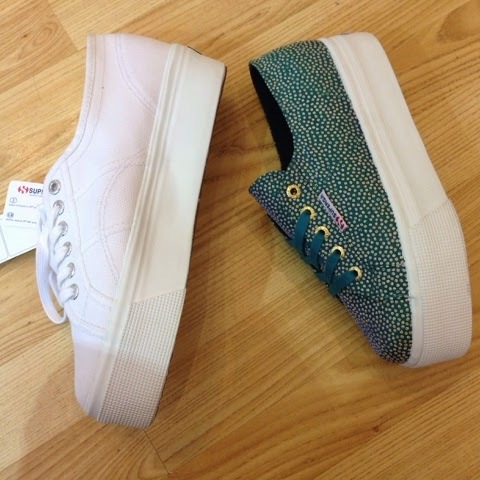 I was gifted the silver trainers and green junior trainers by SupergaUK (I bought the flatforms, I may buy the baby pink too!) all opinions and views are my own, I only review products I would and do buy myself. I grew up in Italy and I will never be able to get over the association with the wealthy, conservative, italian teenagers that wore them in my youth. Now that they are being reinterpreted by the fashion world I can see that they're cute but I still can't get over it! Lordy how to pick one colour from that range of pinks & purples... I'd be fart arsing around for ages trying to decide! There's an Anthro in Guildford and my cousin is at uni there too so might be time for a visit. 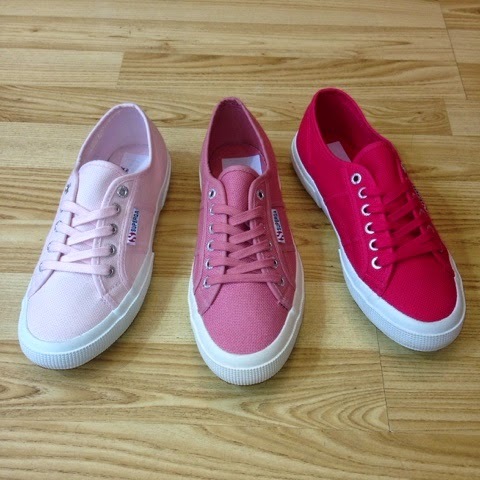 I've not had a pair of Superga's but I have heard that they are actually more comfortable than Converse which I can believe. My personal favourite is the leopard print pair believe it or not. I've eyed those up a few times. And I think you've paired your new silver pair perfectly with your outfit to get the maximum wear out of them - I love all the blues. I've got grey, burgundy and khaki. And although the grey are super comfy, the other two really hurt my feet. No idea why that is! I want some flatforms. 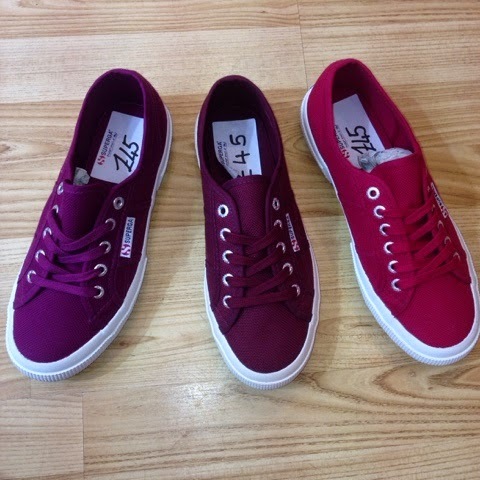 I ordered some converse ones, but they looked daft and went back! Love your silver ones btw! The silver ones are the ones that caught my eye - good choice! These have been raved about for a while as the best alternative to the uncomfortable Converse. HI! 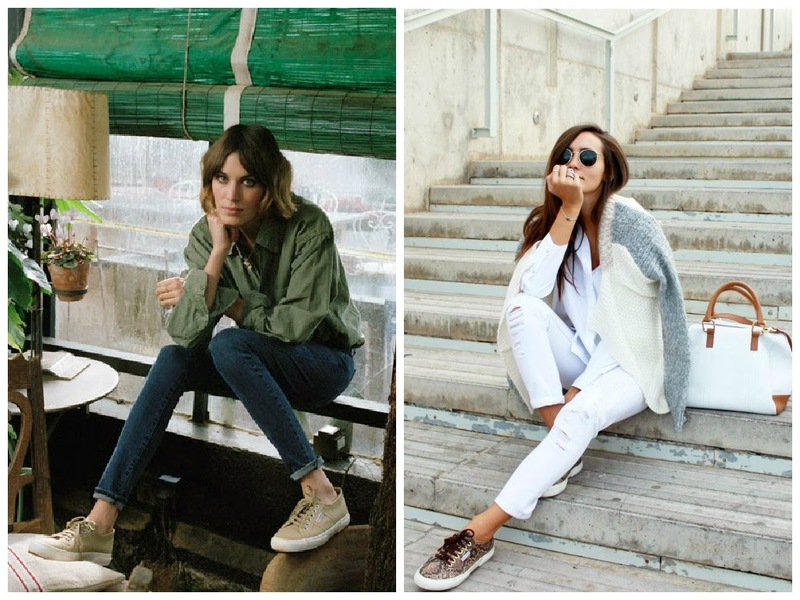 nice to meet you and your blog, i love superga too and i've just wrote a post about it. would you like to read me? this is my blog! thanks!